LAGOS, Nigeria, January 31, 2014/African Press Organization (APO)/ -- Transcorp Ughelli Power Ltd (TUPL), the power subsidiary of Transnational Corporation of Nigeria Plc (Transcorp), and General Electric (GE) have signed an agreement to expand the capacity of TUPL's Ughelli power plant by1000MW over the next 3 to 5 years. Both parties have also signed a separate agreement to rehabilitate the damaged GT 15 turbine at the Ughelli plant, which will add 115MW to the plant's output. The Ughelli power plant is Nigeria's largest gas-fired electricity generation asset. Purchased by Transcorp during the 2013power privatization programme, the $300 million plant is part of the $2.5 billion investment pledge made by the Chairman of Transcorp and Heirs Holdings, Tony O. Elumelu, CON, to deliver affordable, accessible power to Africa under the Power Africa Initiative. Heirs Holdings (http://www.heirsholdings.com), Elumelu's pan-African proprietary investment company, is Power Africa's largest private sector investor and a major investor in Transcorp. GE, one of the world's most reputable companies is the global leader in the design, manufacture, supply, installation and maintenance of technology and services for the Power, Aviation, Oil & Gas, Healthcare and Transportation sectors. Transnational Corporation of Nigeria Plc (Transcorp) is a publicly quoted conglomerate with a diversified shareholder base of over 300,000 investors, the most prominent of which is Heirs Holdings Limited, a pan-African proprietary investment company. The Transcorp portfolio comprises strategic investments in the power, hospitality, agribusiness and energy sectors. Our notable businesses include Transcorp Hilton Hotel, Abuja; Transcorp Hotels, Calabar; Teragro Commodities Limited, operator of Teragro Benfruit plant - Nigeria's first-of-its-kind juice concentrate plant; Transcorp Ughelli Power Limited and Transcorp Energy Limited, operator of OPL 281. 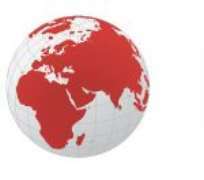 Heirs Holdings (http://www.heirsholdings.com) is a pan-African proprietary investment company driving Africa's development. We are active long-term investors who specialise in building businesses and corporate turnaround. We aim to transform the companies in which we invest and grow them into businesses that last. We invest in Africa to create value for our shareholders and partners, and to create economic prosperity and social wealth for the continent. Our investments in power, financial services, oil and gas, real estate and hospitality, agri-business and healthcare are helping to build economies, create jobs, drive prosperity and ultimately transform the lives of ordinary Africans in Africa. GE (NYSE: GE) works on things that matter, using the best people and the best technologies taking on the toughest challenges, finding solutions in energy, health and home, transport and finance, building, powering, moving and curing the world. Not just imagining. Doing. GE works. For more information, visit the company's website at http://www.ge.com.